Gaining access to modern day security technology helps business and homes to be secured in a smarter way. In this digitally enabled world, the development of IP-based systems are really surprising and is transforming the way the activities are being monitored, the way we communicate and so on. As the technology has evolved much, a growing number of security devices are becoming the focus. 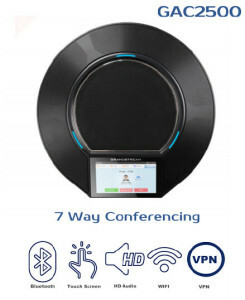 With the acceptance of the VOIP technology, it becomes possible to connect different systems via a single communication protocol which is a great advantage to the customers and to the end user. It is no different in the case of surveillance industry too where IP-based security products are becoming widespread. Other technologies such as the access control and sensor technologies are becoming extensively used. Besides its use as a security tool, it is an excellent productivity tool as well for the business. 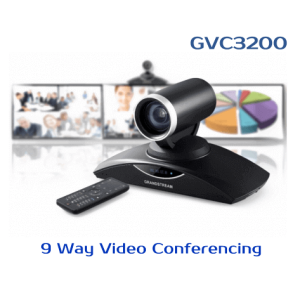 The common use of Grandstream GDS3710 HD IP video door phone system comes as no surprise. Now the businesses and residences are looking ways to redefine the surveillance in a sophisticated way. As far as the business and residence are concerned, keeping the assets and premises is important. Here comes the importance of IP video door phone system. Grandstream IP Video door phone comes with the features necessary to protect the environment and the people where it can be effectively used for any business and homes. Grandstream GDS3710 High definition IP video door phone is a sophisticated video door phone system allowing for high-quality surveillance for visitor management, intercom, premises protection and facility management services. If you are looking for intelligent surveillance systems with the intercom facility for your company or home security, then the Grandstream GDS3710 is a wonderful choice. It offers wall to wall coverage in 180 degree viewing angle. The RFID (radio frequency identification) chip reader helps to control and authenticate the entry and exits into the room. To boost the intercom functionality the system comes with a microphone and speaker. Additionally, it provides an alarm-out and alarm-in facility. It can be easily integrated with software including the GDS management software and the utility software where it allows the RFID information to be loaded into the video feed management as well as software. With the advanced image sensor processor and the cutting edge image algorithms, the system is capable of providing 1080p resolution images. It provides brilliant performance against varied lighting conditions. Grandstream Dubai, believes that the best means of accomplishing success is to move with the technology. Years of experience in the security industry prove that the leading technology is guaranteed to produce the desired outcomes. Adept at designing and implementation, we are considered as the finest security provider in UAE with the advanced systems and solutions. In this complex environment people are looking for advanced security solutions at cost effective budget. With the ease of use and functionality the Grandstream GDS3710 High definition IP video door phone has many advantages. Grandstream Dubai is focused to providing customers with the state of the art solutions with the Grandstream products. Our services are available in the emirates of Umm Al-Quwain, Abu Dhabi, Sharjah, Ras Al-Khaimah, Al Ain and Ajman as well. Call us now for a flexible and cost effective security solution for your varied business. Simply put trust in the leading IP telephony provider Grandstream Dubai.